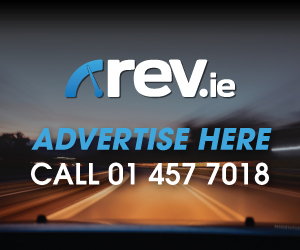 The market is awash with mid-sized SUV’s at the minute so in order to secure your piece of the pie you need to stand out from the crowd. The new Volvo XC40 does just that. In terms of design, it would appear that Volvo can do no wrong of late. 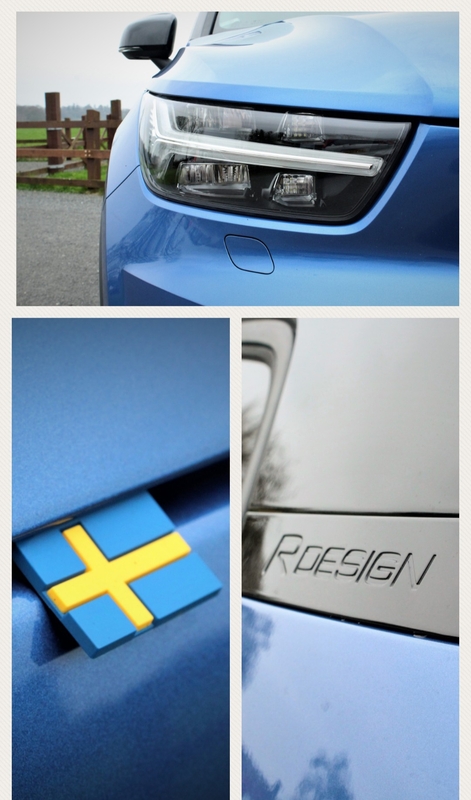 Over the past number of years, we have witnessed the re-establishment of the Swedish brand. The Volvo XC90 set the bar for our expectations and the vehicles that followed have not disappointed. It is always a pleasure to sit into the beautifully appointed interior of any new Volvo. 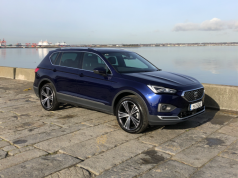 One of my biggest fears for the new XC40 was that it would simply be a mini XC60, thankfully it is not and it commands its own unique appeal. 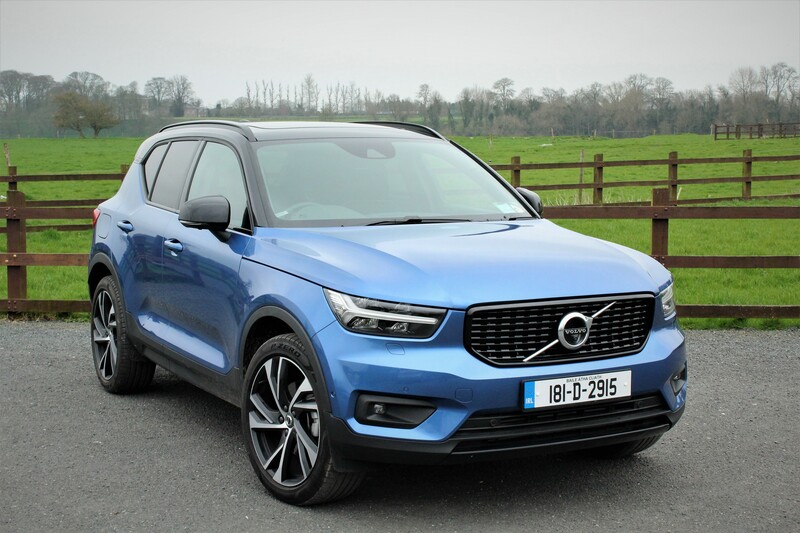 There are obvious similarities which exist within any brands product range but the XC40 stands firmly on its own merits. 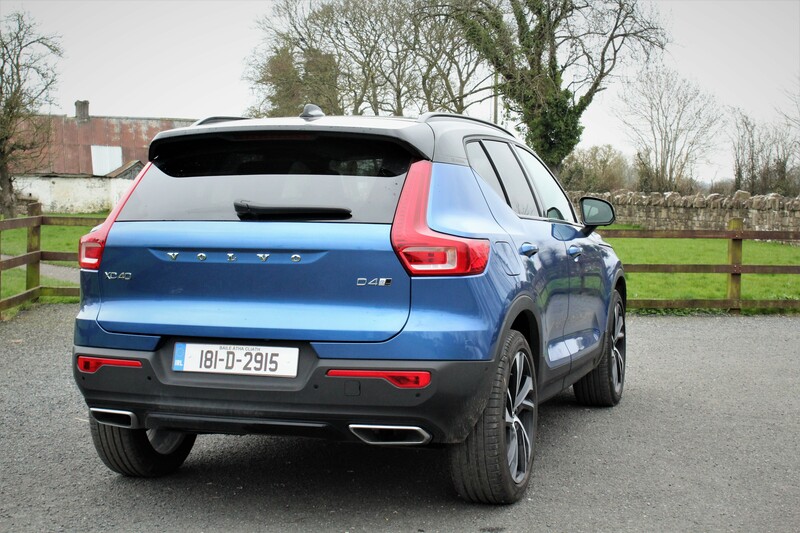 Unlike the bigger XC90 and XC60, the new XC40 is chunkier in its appearance. Sitting inside the Volvo XC40 you are welcomed by an interior which has a luxurious feel along with superior quality materials which provide an excellent level of comfort. The attention to detail in terms of interior finish is second to none. The raised seating position gives you a feel that you are in a proper SUV rather than a jacked-up family saloon. 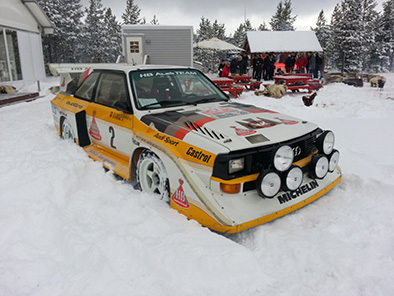 The raised driving position also lends itself to improved visibility. In the Momentum trim of my test model the tablet like touchscreen which is now commonplace in new Volvo’s takes its place centre stage. Flanked by some slim-line air vents, this large screen allows you to access everything from infotainment, climate control, vehicle settings etc. This screen is very easy to operate and there is also a row of buttons below to allow for quick access to volume controls and front and rear heated windscreens. In addition to this all of the relevant driving information is displayed in the 12.3-inch crystal drivers display. 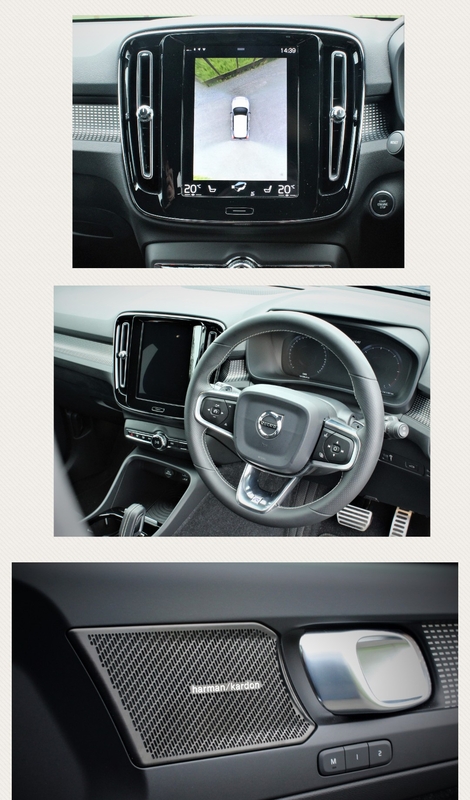 Something that I have discussed previously and which is not restricted to Volvo is that whilst the minimalist approach to buttons provides for clean lines through out the cabin there is no fail safe if the touchscreen stops operating given that it controls so much within the car. Space throughout the cabin is generous and even deceptive. Leg and head room in the front and rear is surprisingly good whilst fitting two ISO-FIX car seats in the rear was achieved with ease. Boot space sits at a respectable 432 litres with the rear seats up and extends to over 1330 litres with the rear seats down. On the road, the 2.0 litre turbo diesel engine of my test model performed effortlessly. 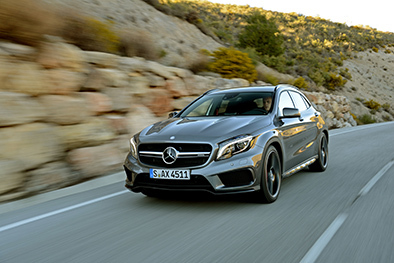 This is paired with an eight-speed automatic transmission as well as four-wheel drive. There is also the addition of being able to select your driving mode allowing you to switch from Eco, comfort and dynamic with the latter Dynamic mode being the most engaging and ensures that throttle and steering response are as desired. Given that the XC40 is built on a new platform, the chassis design along with suspension set-up have been designed to ensure that even the worst surfaces are handled without any disruption inside the cabin. The XC40 allows you to push it on through winding country roads whilst assuring you as to its ability to keeps itself firmly planted. 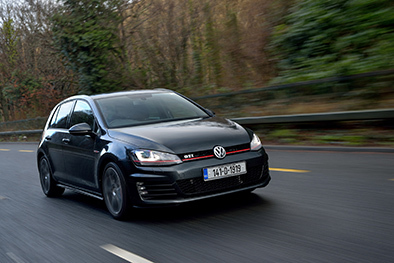 With 190 PS there is plenty of power delivery and the gear ratios are perfectly matched. One thing that is synonymous with Volvo is their safety and the new XC40 is no different. In reading the four-page spec and optional extras for my test model, the safety features took up one page on their own. Features include City Safety (Pedestrian, Cyclist and Large Animal Detection), front Collision Warning with Full Auto Brake, Evasive Manoeuvre Assist, Driver Alert Control with Lane Keeping Aid, Driver Knee Airbag, SIPS (Side Impact Protection System), WHIPS (Whiplash Protection System) (Front Seats) and ISOFIX Attachment (Outer Rear Seats) to name but a few. 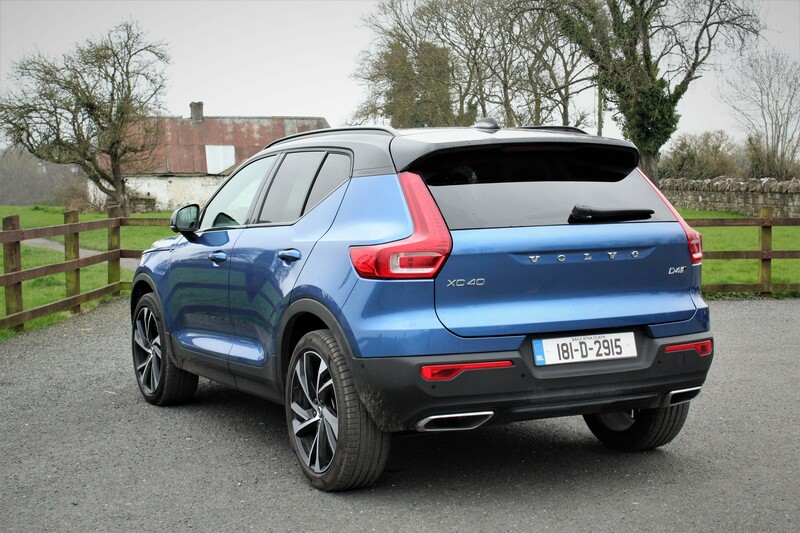 Overall, the new Volvo XC40 has the ability to shake it up amongst its competitors such as the Audi Q3, BMW X1 and the Range Rover Evoque. In terms of overall finish, it is definitely on par if not superior in places. 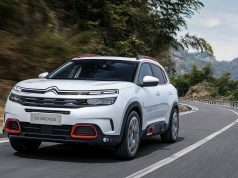 In terms of price, the optional extras will bump it up which unfortunately is the case across the board. Standard safety spec on the XC40 should form part of the decision-making process also. 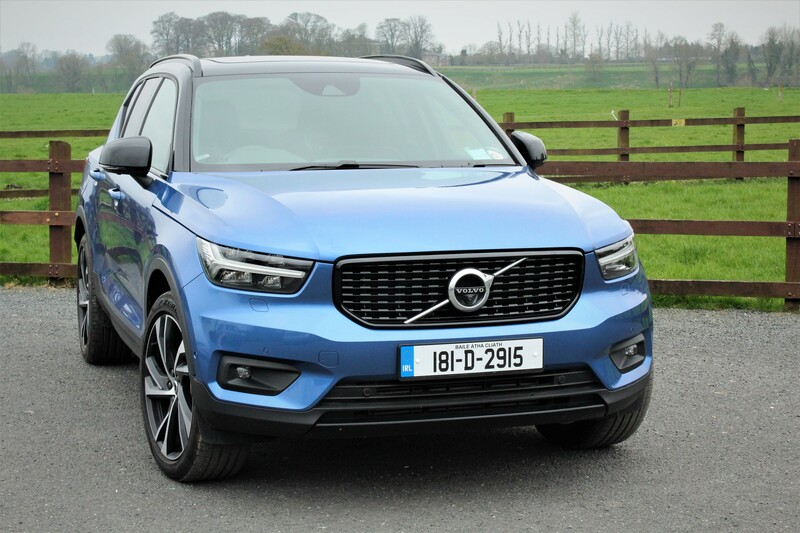 In a market currently top heavy with SUV models, the addition of the XC40 is welcomed. It brings a new level of style and finish that should have its competitors looking up and taking notice. 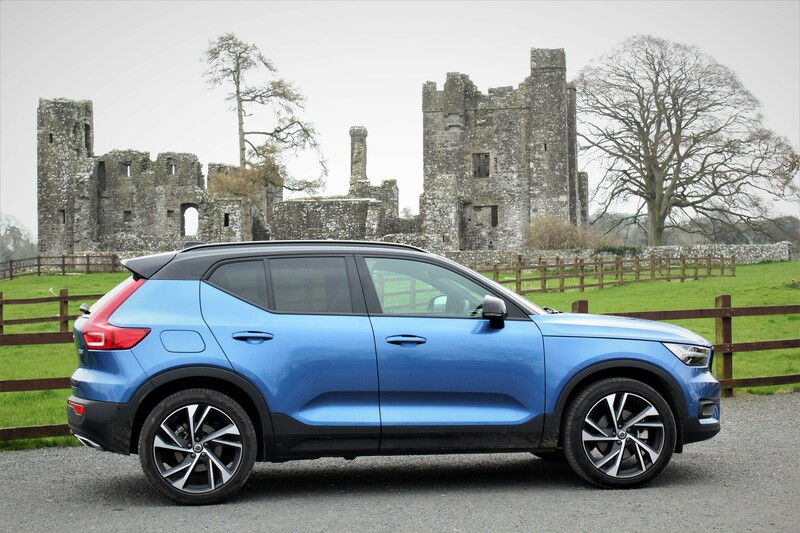 With this in mind it is no surprise that the Volvo XC40 has been crowned the 2018 European Car of the Year and it will definitely be in contention for the Irish Car of the Year come November.